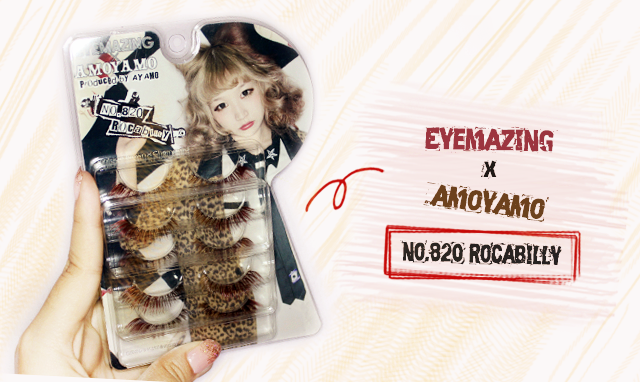 Today I am going to review Eyemazing X Amoyamo Lashes in No.820 Rocabilly, a two-toned stunning false eyelashes. This product was kindly given for review purpose. 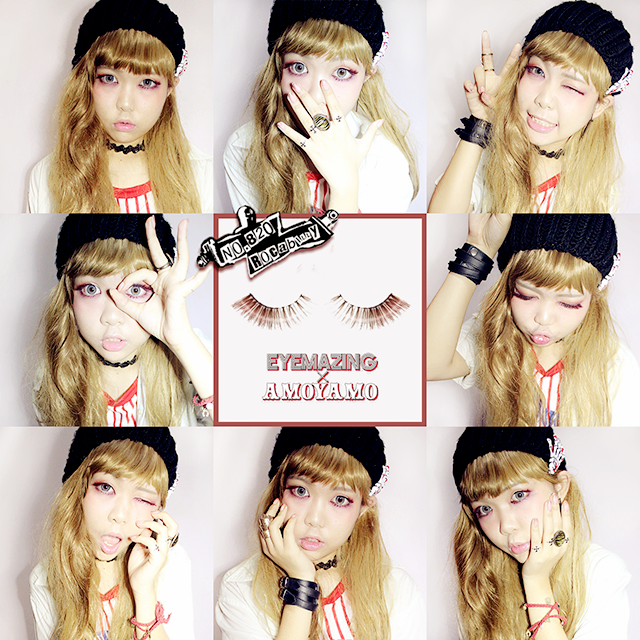 Eyemazing X Amoyamo Lashes is produced by Japanese Magazine ‘Zipper’ model, Ayamo. If you're fans of Ayamo (*waving waving), the first thing that probably comes in mind is HARUJUKU. 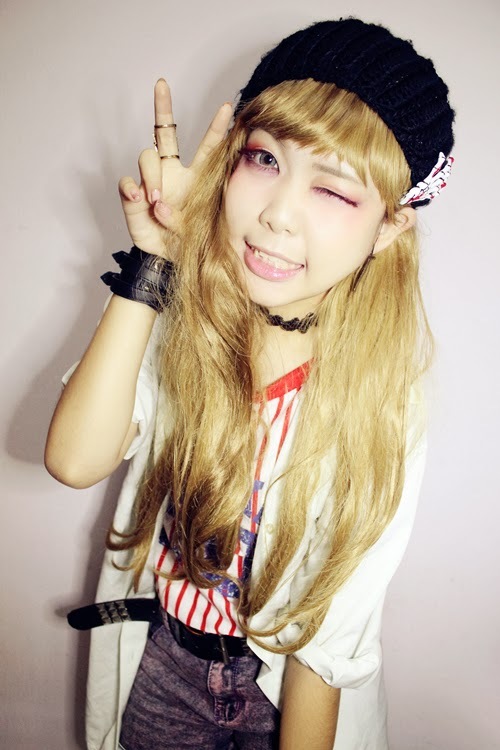 Ayamo fashion and makeup sense of styles is quite different than other gyaru did. 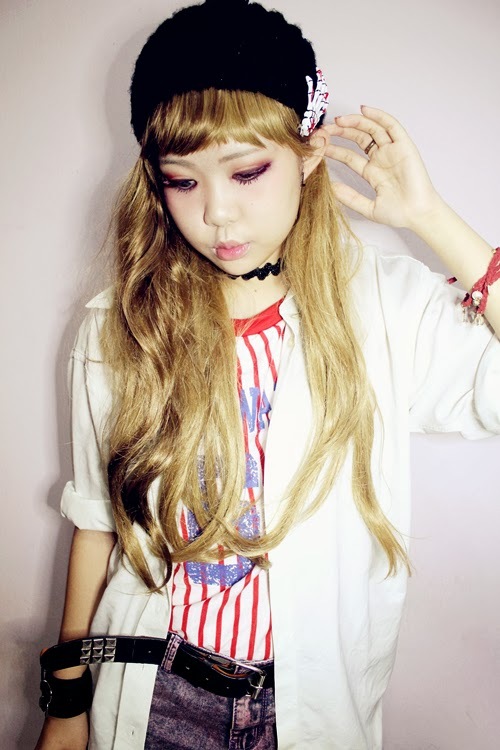 Her fashion senses are more sticks to pop street and rock&punk style (basically no sweet and pastel color) but yet cute and lovely too. While her signature makeup looks is 'Illness-look'. 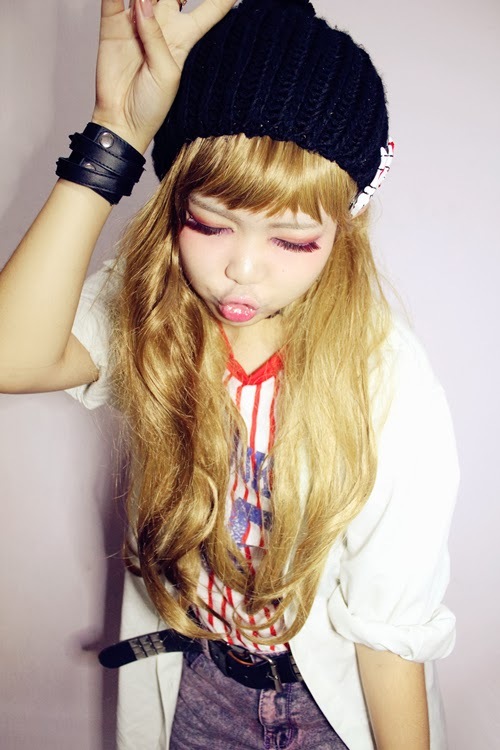 The signature upper blushie (blush underneath eye area), not-eye catching full lips and the one of famous unique style too.... color eyelashes. So like what I mentioned above, I am going to review this product Eyemazing X Amoyamo Lashes in No.820 Rocabilly aka creating Harujuku style inspired by Ayamo. 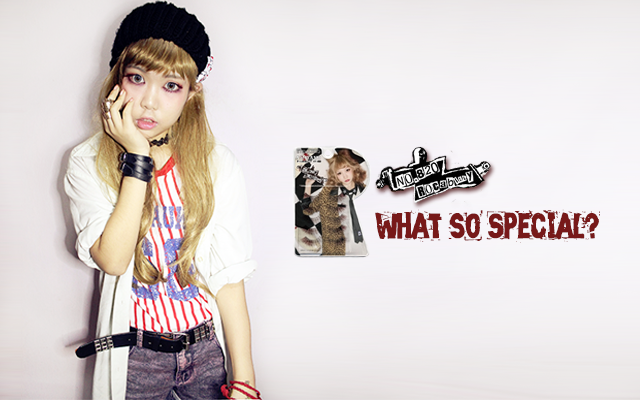 This series feature Harajuku fashion and focuses on ‘Rock’ taste comes with combination of brown lashes. I believe pictures help me to spoke my words. I already listed out the characteristics of this eyelashes, Eyemazing X Amoyamo Lashes in No.820 Rocabilly. 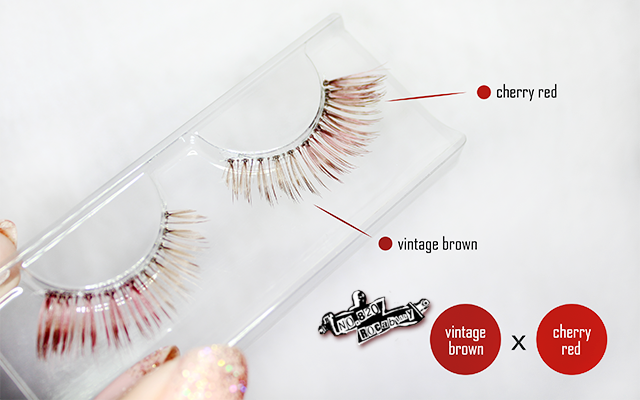 The main selling point of this falsie is the color which is reddish brown in general (combination of vintage brown and cherry red). Other than that, this pair of lashes is full-length lashes with combination of different length; from short of front till long of back that helps to lengthen eye-looks that will be more suitable for achieving droopy eye-look and of coz! do cut it by following the length of your eyes will help you to creates bigger dolly eye too. And here's is the close-up result of me using this pair of lashes, Eyemazing X Amoyamo Lashes in No.820 Rocabilly. 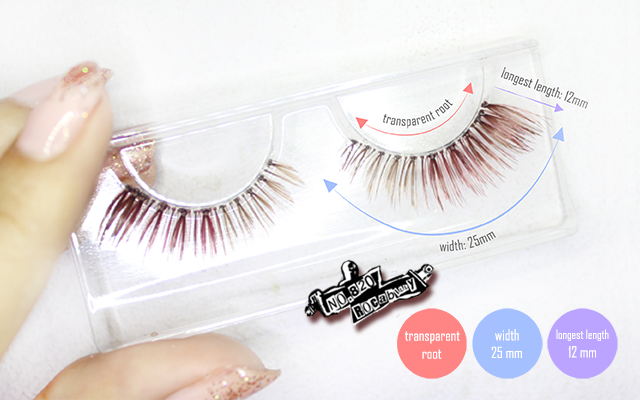 This eyelashes is very soft, fur-like materials making it easy to apply to lash line. Other than that, well-balanced lashes at the inner corner with longer and voluminous lashes toward outer corner adds more volume to the inner corners of the eyes and more length to the outer corner. This lashes focuses on a Harujuku's dramatic and droopy doe-eyed look as a highlight of the eye makes and also gives confusion in between fake and natural look at the same time. By the way, this falsie can be finding at Selected Watson Store at only RM69.90 (5 pairs of lashes). My personal thought is cheap and reasonable for good quality, great quantity and multi-color lashes. Very well executed post. Good contrast of colours. 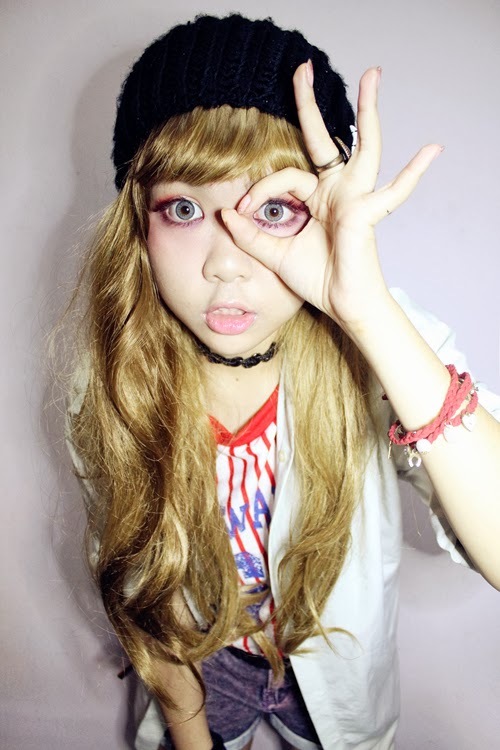 The lashes looks amazing on you *V* I'm in love with your eye makeup <33 I think I might get these lashes to try and recreate a similar look ^^ I;m new to the fake lashes world but I love the Street Fashion style :D I am a new follower of your blog :D I hope you can take a look at mine!